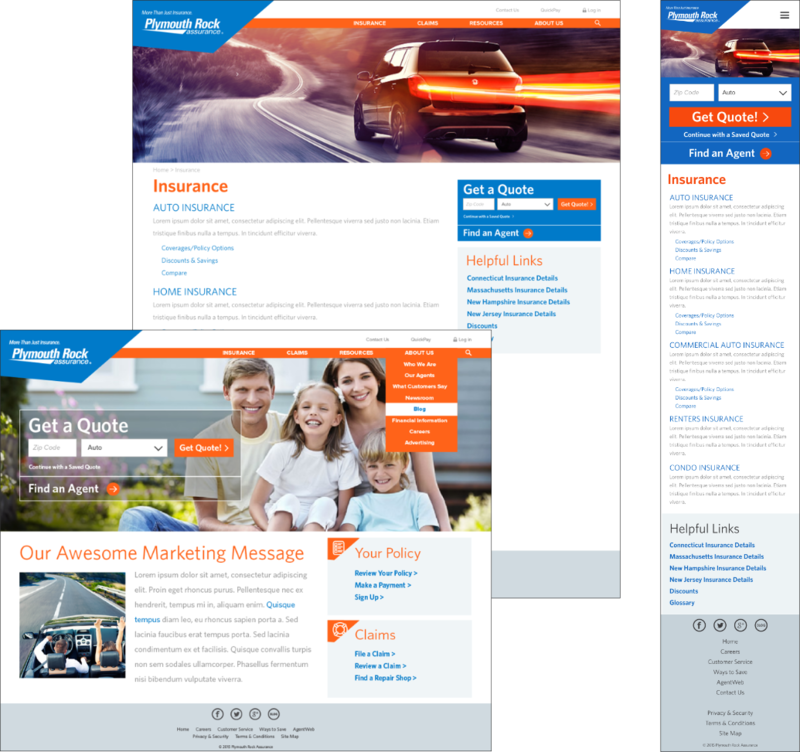 Consolidate multiple regional websites, which hadn't been updated in years, into one responsive site with a modern design that's easy to use on mobile devices. First priority was organization, and that meant start with the navigation. Based on user stories we defined, we created our main action items. Then all info was categorized into a handful of "buckets." This phase is where functionality, like the "Get Quote" widget, was hashed out. 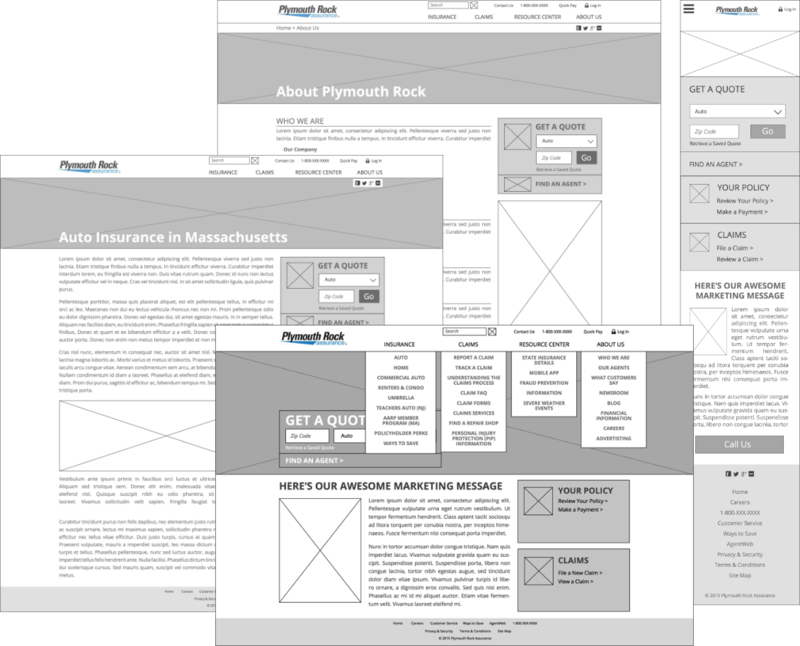 Design was driven by the Plymouth Rock Assurance branding, but since that branding had been designed with print in mind, adjustments had to be made. Through photos, bold colors, and conversational writing, an engaging visual "voice" emerged. The final product was a resounding success throughout the company. 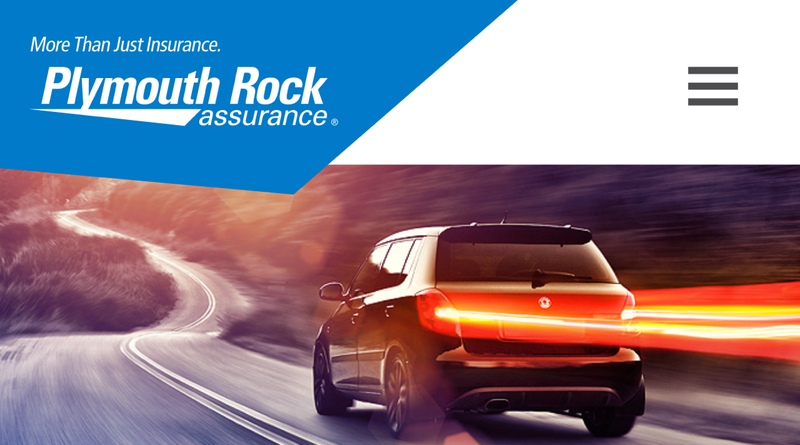 It propelled Plymouth Rock's image online providing immediate information to potential customers while giving existing ones a more pleasant experience and greater usability. 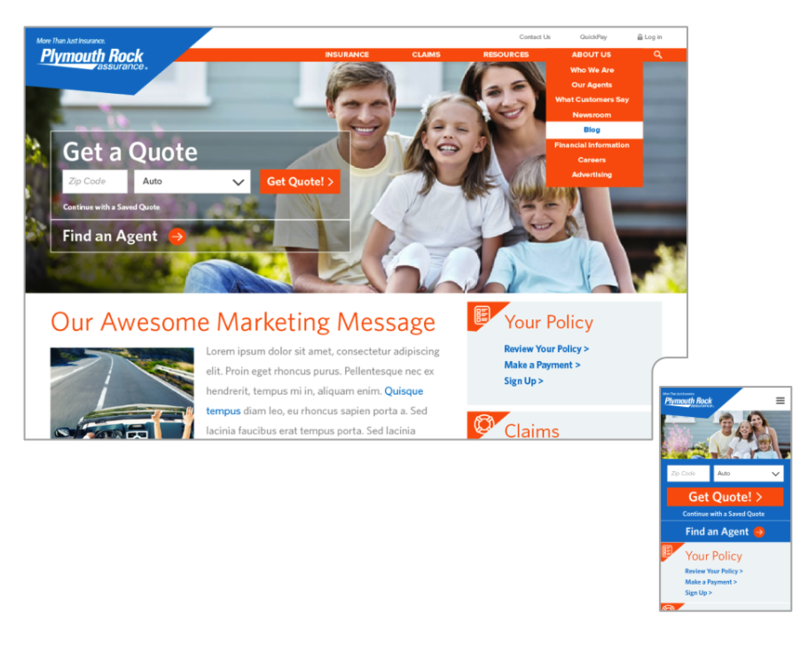 The marketing team was also thrilled to have a flexible site that was easy to update. Copyright © 2019 VisionSpark and Bill Kalpakoglou. All rights reserved.